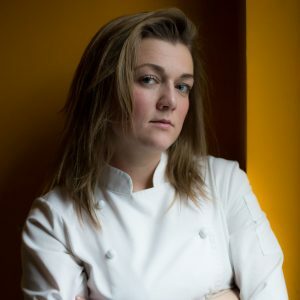 Never bound by titles or labels, Charlotte Langley is constantly reinventing herself and what it means to be a chef, culinary curator, entrepreneur, ambassador for sustainability and champion of the people and causes she believes in. Hailing from PEI, Canada, Charlotte embodies what her peers often call “Maritime Chic” – a love for honest food shared with warmth, charm and that famed East Coast hospitality that has chefs, farmers, restaurants, collaborators and clients across provinces and borders knocking on her door. consumers alike to choose certified sustainable and traceable seafood. For Charlotte there is no greater pleasure or privilege than to play, share, laugh, educate, nurture and love through food.